Evanston police responds to Wednesday's gun threat. Ald. Robin Rue Simmons (5th) was leaving Washington for Evanston on Wednesday when she got a text message. 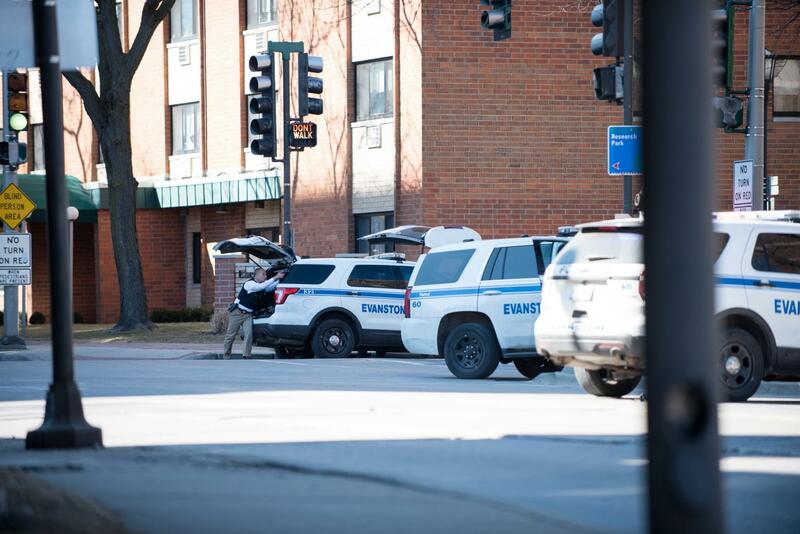 Evanston Chief of Police Richard Eddington told her that there was an active shooter incident at Engelhart Hall on Maple Avenue and Emerson Street. The Evanston Police Department had received a call from a man saying he had shot his girlfriend in the Northwestern graduate dorm, which was later determined to be a hoax. Hagerty also praised the emergency responders who arrived on the scene. He said though it was a hoax, the situation allowed officials to practice responding to an active shooter situation. “They had the opportunity to respond as if it was a real event because we all believed it to be one when the call came in,” Hagerty said. Students and Evanston residents also said they saw room for improvement in how the University and city communicated information throughout the lockdown that resulted from the threat, which lasted more than an hour. Hagerty and city manager Wally Bobkiewicz said Evanston and Northwestern will both conduct an evaluation of the incident and their response. Rue Simmons said that though some misinformation was spread over social media channels, officials had a duty to provide new information as it emerged. Just over a mile away from Engelhart Hall, Evanston Township High School implemented a soft lockdown, in which all entrances are locked but students are free to move around the building. The lockdown occurred only hours after students held a walkout to honor the victims of last month’s high school shooting in Parkland, Florida. ETHS superintendent Eric Witherspoon said the lockdown was implemented according to protocol the school already had in place. Witherspoon added that though the threat did not heavily impact ETHS, he felt that recently intensified fears of gun violence have caused Evanston residents to react more strongly to incidents that may not directly affect them. Colin Boyle, Samantha Handler and Clare Proctor contributed reporting.